HB108 RELATING TO THE STATE BUDGET. HB109 RELATING TO STATE FINANCES. HB111 RELATING TO STATE PROGRAMS. HB113 RELATING TO MARKETPLACE FACILITATORS. HB114 RELATING TO AMENDING OR REPEALING HAWAII INCOME TAX LAWS FOR THE PURPOSE OF DELETING OBSOLETE OR UNNECESSARY PROVISIONS. HB115 RELATING TO AUTHORITY OF THE DEPARTMENT OF TAXATION TO CORRECT ERRORS ON TAX RETURNS. HB116 SD1 RELATING TO THE STATE BUDGET. HB117 RELATING TO STATE FUNDS. HB118 HD1 SD1 RELATING TO GOVERNMENT. HB119 RELATING TO GOVERNMENT SERVICES. HB120 SD1 RELATING TO STATE BONDS. HB121 RELATED TO NON-GENERAL FUNDS. HB122 RELATING TO NON-GENERAL FUNDS. HB123 HD2 RELATING TO NON-GENERAL FUNDS. HB124 HD1 RELATING TO NON-GENERAL FUNDS. HB125 HD1 SD1 RELATING TO NON-GENERAL FUNDS. HB622 HD2 SD1 RELATING TO PUBLIC CHARTER SCHOOLS. HB632 HD1 RELATING TO THE GENERAL EXCISE TAX. HB759 HD2 RELATING TO THE DEPARTMENT OF COMMERCE AND CONSUMER AFFAIRS. HB809 SD1 RELATING TO THE FUNDING OF GRANTS PURSUANT TO CHAPTER 42F, HAWAII REVISED STATUTES. HB1167 RELATING TO DEPARTMENT OF EDUCATION CARRYOVER FUNDS. HB1168 RELATING TO THE HAWAII HEALTH SYSTEMS CORPORATION. HB1178 HD1 SD1 RELATING TO THE FISCAL BIENNIUM 2019-2021 BUDGET REQUESTS FOR THE DEPARTMENT OF LAND AND NATURAL RESOURCES. HB1333 HD2 RELATING TO THE DEPARTMENT OF PUBLIC SAFETY OPERATING BUDGET. HB1334 HD1 RELATING TO THE DEPARTMENT OF DEFENSE OPERATING BUDGET. HB1402 HD1 SD1 RELATING TO THE COMMUNITY-BASED ECONOMIC DEVELOPMENT PROGRAM. HB1403 HD2 SD1 RELATING TO HOUSING. HB1429 HD1 RELATING TO THE BUDGET OF THE OFFICE OF THE GOVERNOR. HB1430 HD1 RELATING TO THE BUDGET OF THE OFFICE OF THE LIEUTENANT GOVERNOR. HB1432 HD1 RELATING TO THE BUDGET OF THE DEPARTMENT OF ACCOUNTING AND GENERAL SERVICES. HB1445 RELATING TO KUPUNA CARE. HB1589 PROPOSING AMENDMENTS TO THE CONSTITUTION REGARDING THE ELECTION OF STATE OFFICIALS. Currently beginning her seventh term, Representative Sylvia Luke has served the residents of the 26th House District (Nuuanu-Pauoa-Pacific Heights-Papakolea-Punchbowl) since 1998. Over the years, Representative Luke has served as: Vice Speaker of the House; Chair of the House Committee on Judiciary; Vice-Chair of the House Committee on Legislative Management; Vice-Chair of the House Committee on Economic Development and Business Concerns; and Chair of the Select Committee on War Preparedness. 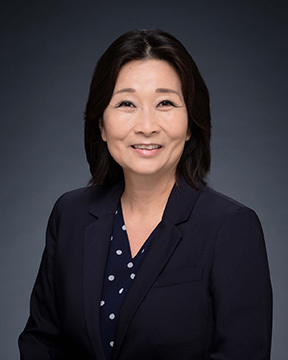 Born on December 15, 1967 in Seoul, Korea, Representative Luke attended Lincoln Elementary School, Kawananakoa Middle School and graduated from Roosevelt High School in 1985. She received a B.A. from the University of Hawaii at Manoa in 1989 and received her J.D. from the University of San Francisco School of Law in 1995. In addition to serving as a legislator, Representative Luke is an attorney in private practice.